These creepy new Orwellian streetlights are straight out of 1984. They double as surveillance cameras and can spy on pedestrians, photograph and record their movements and conversations, direct advertisements and government messages at them, count crowd numbers for police and much more. They are operated as a two way system. 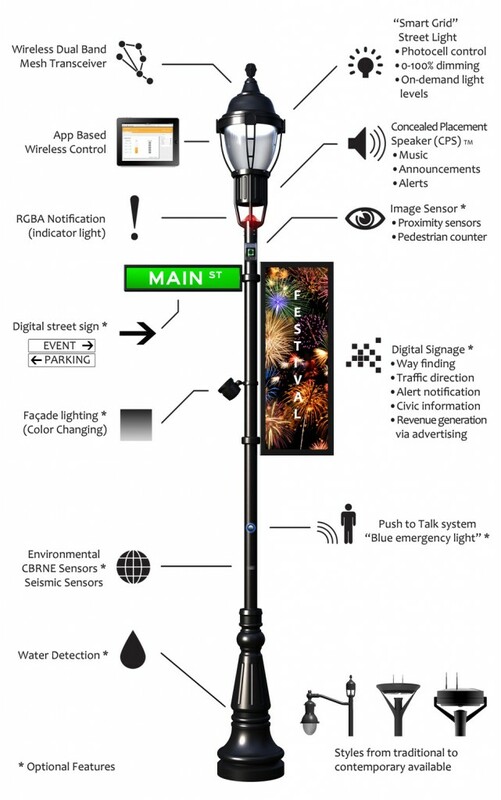 ABC 7 in Farmington Hills, Michigan, where these lights are being rolled out with a federal grant, reports that owner/designer Ron Harwood is now “working with Homeland Security” to implement these streetlights as part of a high tech network. I’m reminded of the Simpsons episode “To Surveil, With Love” in which Springfield fills the city with cameras manned by citizen watchdogs—most notably, Ned Flanders. Flanders scrolls from monitor to monitor chastising citizens for everything from litter to PDA. Ultimately, the Flanders’ pestering has two results: it drives the town insane, and makes Homer’s back yard—the camera system’s one blindspot—prime real estate. Read more in Crime, Liberalism, Video.